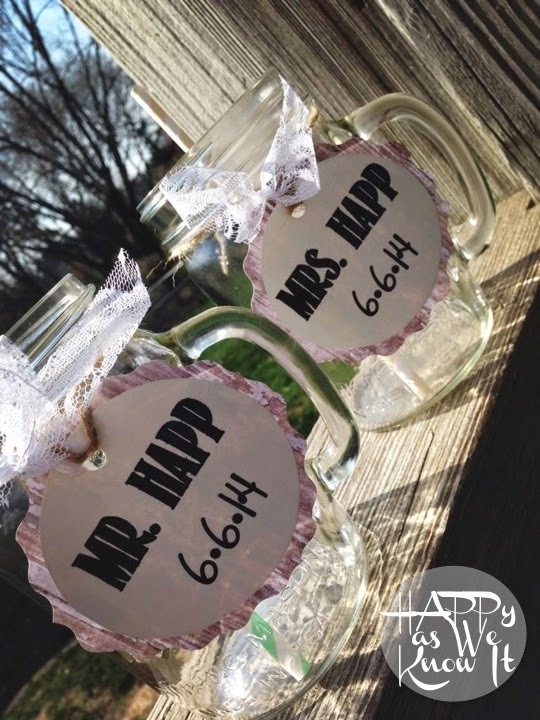 As a DIY bride with a country chic agenda, mason jars have certainly quickly become this girls best friend. 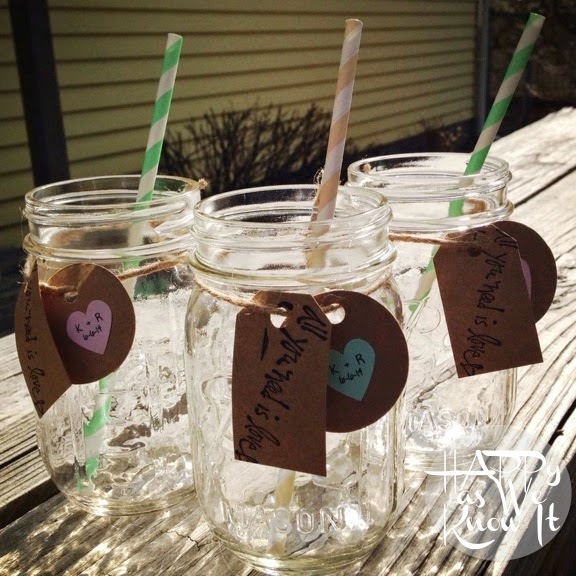 Containers, vases, centerpieces, if you can think it, mason jars can do it. I swear. So it was no question when I was contemplating the glasswear for the evening, that these little pint-sized bundles of joy would do the trick. Now I know the mason jar drink idea has been popping up everywhere lately but everyone has got their on little spin on it. So I took bits of pieces of what I liked from the variety I saw, and made them my own. 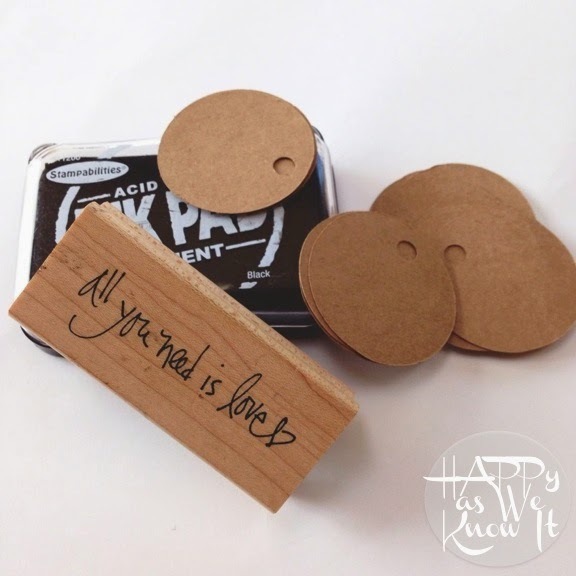 I started with this darling little "all you need is love" stamp that from Hobby Lobby. 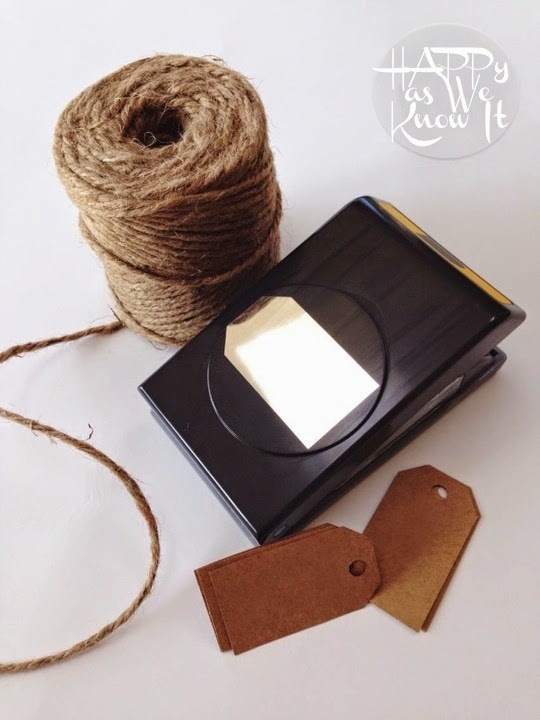 I also grabbed some twine (another item that has been this girls best friend) and a tag punch. I actually cut the circle labels shown above with a Cricut, but you could easily do these with a circle punch as well if you do not have access to this machine. 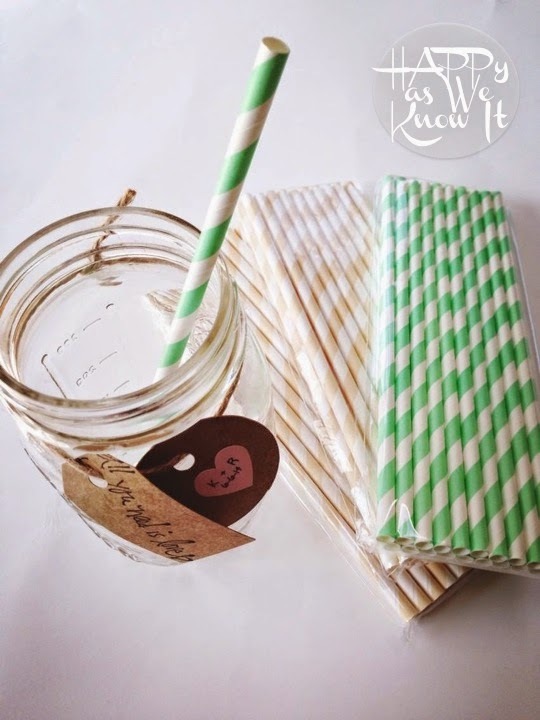 We found some striped paper straws for our guests to sip from in our colors from Shop Sweet Lulu. We also added heart shaped personalized stickers to each of the circle cut outs from The Petite Package. 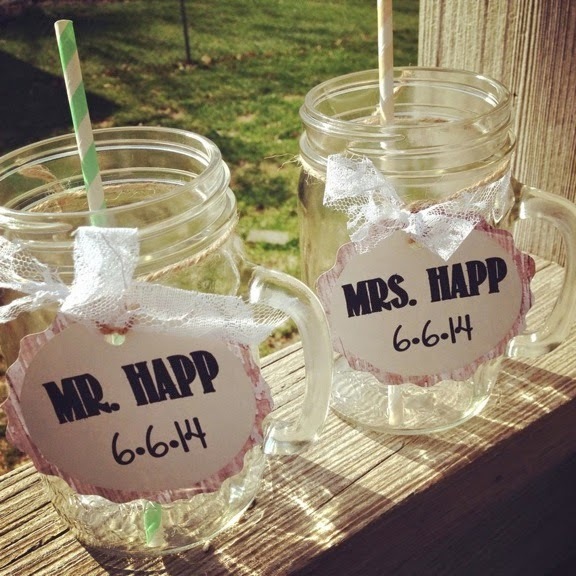 Then it was on to create the glasses for the bride and groom. I wanted to make sure our glasses blended in with the rest, but were also special to us. For ours, I actually splurged and bought the masons with handles. I purchased a piece of woodgrain printed scrapbook paper and then used some cream I had on hand to print out our name tags. Added a little ribbon and twine, topped them off with the same striped straws, and my work was done! Stay tuned for some images post wedding of how we displayed all of these guest goodies on the big day! Oh how perfect! I love that you are able to continue using them as well! It's a nice keepsake from your special day :)! These are soo cute! Absolutely love them. 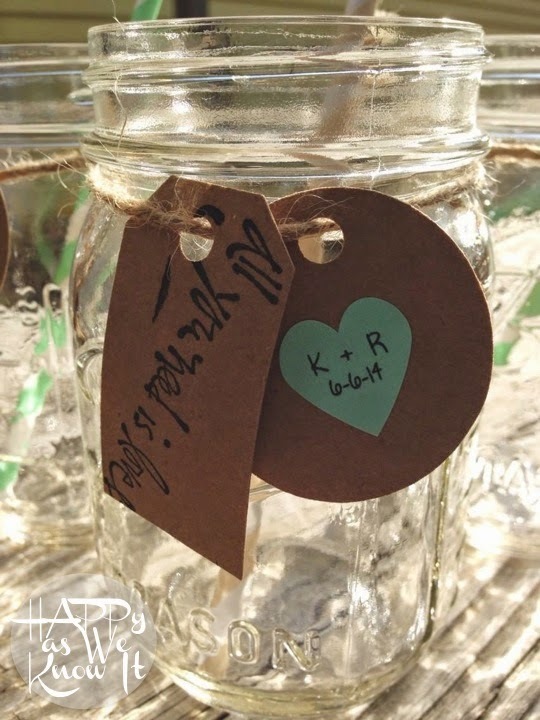 I love that you're putting your own DIY touches on your big day!